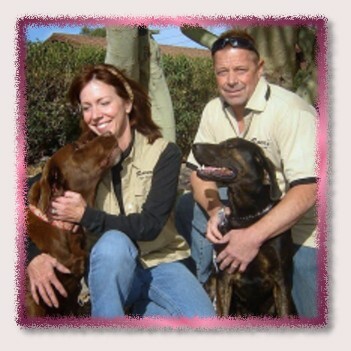 Lifelong pet lovers, Jo & Scott, em'barked' on their own pet care business journey in 2008. Jo's hands on experience dealing with most farm animals & house pets, along with Scott's dog training/handling skills have proven to be a great pairing. Their household includes 4 dogs (hound/lab mix, Ridgeback mix, Lhasa Apso, & a Boston Terrier) and 2 cats. Jo's love for senior pets is a main driving force in the service she provides, keeping a calm, safe, & comforting environment while grooming or pet sitting all pets is her priority.